French-born conductor Sylvain Cambreling is a musician with big ideas. A thought-provoking, colourful and dramatic artist, he has a flair for grabbing the attention of audiences, yet his originality is rooted in thorough knowledge of musicology. As the Chief Conductor of the SWR Sinfonieorchester Baden-Baden und Freiburg, and Principal Guest Conductor of Klangforum Wien, he has offered ample proof of his gifts for imaginative programme-planning and persuasive championship of contemporary music. At the start of the 2018/2019 season he became the new Chief Conductor of the Symphoniker Hamburg. He was the Principal Conductor of the Yomiuri Nippon Symphony Orchestra in Tokyo from 2010 - 2019. Sylvain Cambreling held the position of General Music Director of the Staatsoper Stuttgart from 2012 – 2018. He was Music Director at La Monnaie for ten years before becoming Music Director at Frankfurt Opera in 1993. Productions notable for the introduction of new and often revolutionary ideas include Pelléas et Mélisande and Les Troyens for the Salzburg Festival; Wozzeck, Fidelio and a Ring cycle in Frankfurt. He has conducted extensively at Opéra National de Paris where his work has included Saint François d’Assise, Pelléas et Mélisande, Katya Kabanova, La Clemenza di Tito, The Love for Three Oranges, Don Giovanni, Le nozze di Figaro, Simon Boccanegra, Les Troyens, Louise, La Traviata, Ariane et Barbe-Bleue and Wozzeck. He balances his opera engagements with his positions at the Hamburg Symphony Orchestra, Yomiuri Nippon Symphony Orchestra, Klangforum Wien and guest appearances in concert with the world’s leading ensembles. He has performed with orchestras including the Vienna and Berlin Philharmonics, the Tonhalle Orchestra, the radio orchestras of Frankfurt, Hamburg, Berln, Hannover, Köln, Copenhagen, Stockholm and London, as well as the Philharmonia, BBC Symphony, Deutsches Symphonie-Orchester Berlin, Münchner Philharmoniker, Vienna Symphony, Orchestre de Paris and Oslo Philharmonic orchestras. In North America he has conducted the Cleveland Symphony Orchestra, Los Angeles Philharmonic, San Francisco Symphony and Orchestre symphonique de Montréal. A great believer in imaginative programming Cambreling is famed for the originality of his concert-planning. A speciality is the juxtaposition of contrasting but related works or composers, for example Haydn and Messiaen, or Berlioz’s La Damnation de Faust with Schumann’s Scenes from Goethe’s Faust. Among the boldest of his projects was the performance on consecutive evenings of Messiaen’s three largest works – Turangalîla, Éclairs sur l’au-delà and La transfiguration de notre seigneur Jésus–Christ. 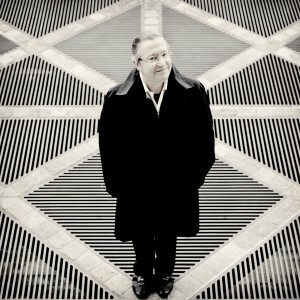 In 2009 Sylvain Cambreling received the Echo Klassik “Conductor of the Year Award” and the Deutsche Schallplatten Jahrespreise 2009 for best orchestral CD, and in 2010 the MIDEM Contemporary Music Award for his recording of Messiaen with the SWR Freiburg and Baden-Baden Symphony Orchestra. In 2012 he was awarded the Federal Cross of Merit of the Federal Republic of Germany.